Found on the Mobile Web is an occasional WAP Review feature listing newly added and updated sites on the YesWAP.com mobile portal and WapReview mobile site directory. With these latest additions the directory and portal now list 1340 mobile sites. Except as noted I “found” all of these sites on Naiyer Asif’s Oh! Mobile Directory one of the largest and cerainly the fastest growing mobile portal. Somehow Naiyer always seems to be the first to discover new mobile websites. First Republic is the retail banking arm of stock broker Merrill Lynch. The parent company was acquired last year by Bank of America. At least for now, First Republic has kept its name, URLs and mobile web site at mobile.firstrepublic.com. The mobile site offers the bank’s customers account summaries, balances, transaction history, transfers between accounts and bill payment. 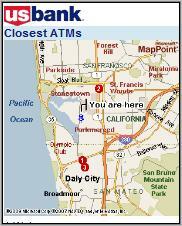 There is also an ATM and branch locator which does not require a login and can thus be used by anyone. The locator’s results listing are pretty minimal, there are no maps or driving direction options and phone numbers are not click to call! Minneapolis based US Bank is the 6th largest in the country. The bank’s mobile site at m.usbank.com offers an ATM and branch locator which can be used by anyone and for account holders, the ability to view balances and transfer funds between accounts. If you use a prepaid phone in the US this is a good site to bookmark as the ATMs at US Bank branches let you refill you account using any bank’s ATM card with no extra fee. Long Beach PressTelegram ( m.presstelegram.com) Los Angles area daily paper with extensive local news, weather, sports and business coverage plus letters to the editor and editorials. Mobile edition of the San Gabriel Valley Tribune ( m.sgvtribune.com), a daily paper based in the greater Los Angeles area. The site includes local news, sports, weather, opinions, letters to the editor and photos. The San Gabriel Valley is west of LA. Its largest cities are West Covina and Pasadena. Alexandria, MN Echo Press ( www.echopress.com/m/) Mobile edition of a twice-weekly print newspaper in rural Western Minnesota. 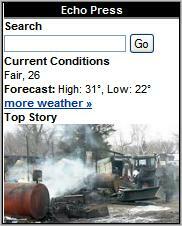 Includes local news, sports, weather and classified ads. The Spokesman-Review (spokesmanreview.com/mobile/) is a daily paper in Spokane, Washington. Local news, sports, weather, business and editorials covering Spokane and Kootenai County. Spokane7.com ( www.spokane7.com/mobile/), A Spokane, Washington event calendar listing live music, movie showtimes , sporting events and trade shows. Manchester (VT) Journal ( m.manchesterjournal.com) Daily newspaper site from Manchester Vermont. Local news, sports, weather, editorials, columns, obituaries and the Town Meeting schedule and agenda. Northland Outdoors ( m.northlandoutdoors.com) features hunting, fishing, recreational sports, classified ads and destination news for the Upper Midwest including Minnesota, North Dakota, Wisconsin and South Dakota. Motocross Tracks Mobile edition ( mobile.mxtracks.net) of motocrosstracks.com a directory of motocross tracks and off-road riding areas in the USA and Canada. Browse by state or search for a track by name (but not by zip or city/state unfortunately). Bournemouth Echo ( mobile.bournemouthecho.co.uk) Local news, sports, entertainment, weather and travel advisories from Bournemouth (UK) Daily Ech0 which also covers Poole Christchurch, Dorset and Hampshire. This is a good example of a local news site with hundreds of full lengh stories, most illustrated with a photo. International Recipes ( mobile.internationalrecipes.net) is a large recipe exchange with reference articles, member-submitted recipes, a food dictionary and more. The rather basic mobile site allows you to search for recipes by name or ingredient. You can also have any recipe sent to you in an email. 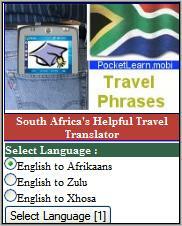 This entry was posted in Found on the Mobile Web and tagged Afrikaans, local news, motocross, online banking, recipies, Xhosa, Zulu by Dennis Bournique. Bookmark the permalink.